Have you ever heard an Escape team member talk about our company meetings? Have you ever wondered what we’re up to at these company meetings? To start, it wouldn’t be an Escape company meeting without an entertaining ice breaker by our corporate trainer, Terri Hammond. 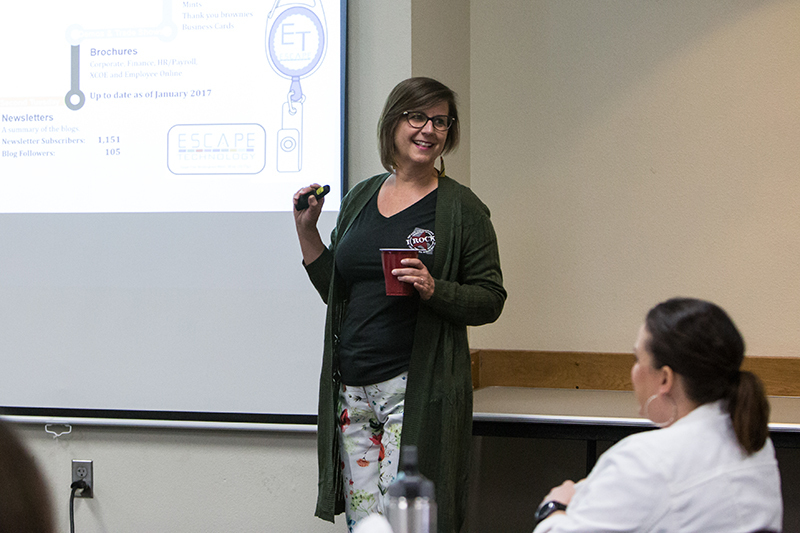 Terri Hammond, System Trainer, provides the Escape Company Meetings with entertaining learning experiences. But after the laughs, we get down to business and each manager presents their team’s quarterly goals and results. I appreciate how each manager puts their own touch of creativity in the slides and their personality comes through…and I’m always amazed at the things I learn from their presentations! In fact, at the last company meeting, I learned that we now have over 3,500 end users on the Employee Online Portal! Company meetings are also an opportunity for us to discuss events in the last quarter and determine if any internal processes need changes or refinements. Providing our customers with the best possible products, support and user experience is paramount to us. So, open and continuous discussions are important to ensure timely implementation of changes. 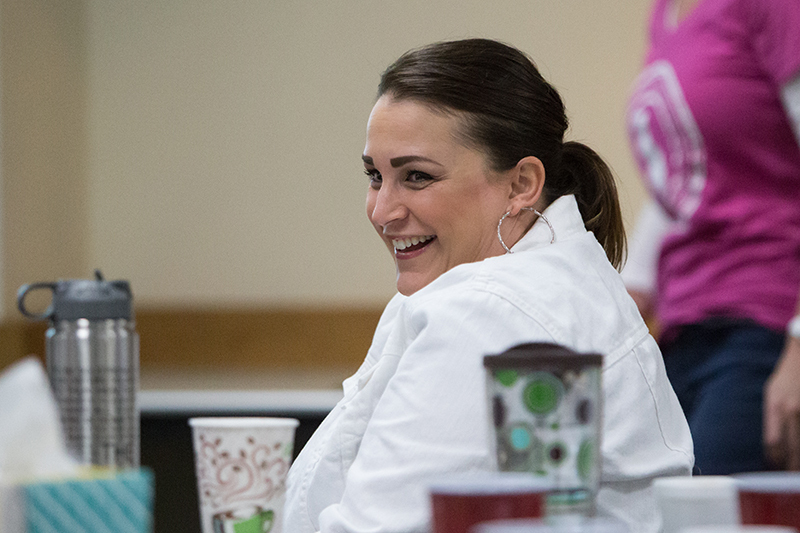 While company meetings may seem like they are for Escape employees, they are also for our customers! !